Warning: If none of what I say in this post makes sense, then you probably read it correctly. What I am attempting to convey in this post can only be understood from the place of absolute inclusion–total Oneness, nothing left out. These words stand on the foundation that God is giving everything to everything and through everything for eternity. Universe is something else. All day I have been waiting for the go ahead to start writing about the subject of Abundance. But every time I got ready to write, something seemed to block me and I got nowhere on the blog. It wasn’t until I gave up on writing it that it started coming in. One would think that the topic would be relatively easy considering that there is a general consensus on what the word means. However, when I find myself trying to talk about what Abundance means to me, I find that the very attempt to speak of it minimizes what I am trying to express. You see, in my opinion, Abundance is an Absolute. In fact I would go so far as to say that Abundance is Reality. So, how can I express Absolute Reality in a blog post? It is a futile attempt, but here I go anyway. Unfortunately, I know that if I am talking about it, then it isn’t it. So, if this makes sense, I am going to first attempt to call up a sense of what Abundance is by saying what Abundance is not. Abundance is not prosperity. The distinction I make between prosperity and Abundance is that prosperity is a reversal of the idea of lack and as such is born out of illusion. 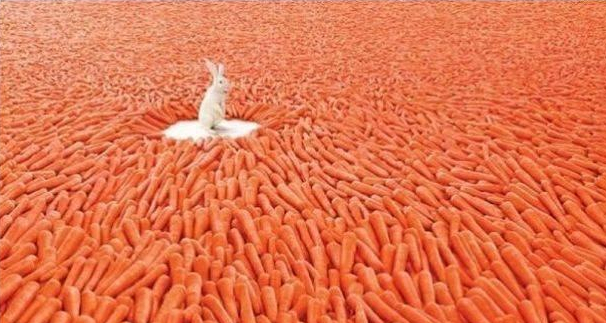 Abundance is reality. There is no lack in Truth. God holds nothing back from creation. Lack is a denial of the Truth of Wholeness. The most prosperous humans in the world are beggars before God. As Paul teaches,we all have received that over which we are stewards. Abundance is God’s reality and is ultimately our own whether we appear to abase or abound according to the world’s standards. Prosperity is our attempt at simulating God’s reality. According to prosperity, there are some who have and some who don’t. In the Reality of Abundance, God has already wholly given everything to everyone. There is no lack. And because God is the All in all, as Psalm 23 reveals, we shall not want. What does this mean in plain language? Well to me it means the poorest, hungriest, diseased person who will ever live has no less than the most prosperous, healthiest, best looking person who will ever live in all of the worlds. If we took all of the Earth’s resources and gave them to one person and cast one person out to the dark side of the moon stripped of anything that could remotely make “life worth living”, in God’s Abundant reality one person would not be better off than the other, because All in God is One. Isn’t that good news? Of course. It’s the best news. It’s the news Jesus gives his life for. He accepts the Abundant Word of Life and receives that which is the inheritance of all. But because so many of us are worried about being better than someone else–poor and rich alike–we can’t nor do we want to hear that Word. If we heard it then we would see that we are above no one. What do we have to lose from equality? Only what the ego gives us–which pretty much amounts to nothing. But you know how we are. We hate to think we did work for nothing, so we’d rather just keep playing the game and risk losing if it means that not everyone can win. Still confusing? Well here is something that could really confuse you. People who play the game of winners and losers might read the above verses and feel excited if they interpret it as meaning that they are on the winning side and those who don’t like the idea of being under Christ will just be annoyed. But my interpretation is a non linear one that simply boils down to the idea that those who “wake up to Christ” (not necessarily professed Christians), will walk in the way of Christ and consciously live in the abundant reality of God. I think that any one of us could wake up to this reality at any time if we are simply willing to accept that it is everyone’s reality. What is scary for most people about accepting this is that they think that accepting that they are already living in the Abundant Reality of God means that they will have to be happy with what they presently have. They think that it means they can no longer have hopes and dreams. If they are content now, how will they ever get to be bazillionaires? Being content now is a threat to the happiness they might have in the future if they “get what they want”. In their minds, there’s no motivation to do anything if they are already content, so it is better to never be happy now so that they can be happy in the future. Of course, that makes all of the sense in the world (said sarcastically). If you want to get more into that insane logic, check out my previous post, Get Rich or Try Dying and if you are interested in understanding what I mean when I talk about the Oneness and the All in allness of God and consequently God’s infinite Abundant Reality, then check out The Dots Are Not Connected. It is God’s “good pleasure to give us the kingdom”. So who can stop God from giving what God wills to give? No one that’s who. But any of us can choose not to accept it. Yes, as I receive this Word, I am absolutely certain that God has not held anything back. We all have it all. God’s Abundance is all of our realities without exception. And all we have to do to receive it is give everything away in the faith that none of us have anything to lose. That is what I believe Jesus lives to show us. We can’t have less than everything. The only thing we cannot have is what we are not willing to give away.